A PROJECT by The Detail revealing the number of women from Northern Ireland and the Irish Republic having abortions in Britain has been praised for shedding fresh light on the issue. Detail Data has been recognised by the Royal Statistical Society for its research which found that women travelled for almost 25,000 abortions over the last five years – an average of close to 100 terminations every week. This comes as the newly elected Stormont government faces pressure to deal with the issue of access to abortion in Northern Ireland. 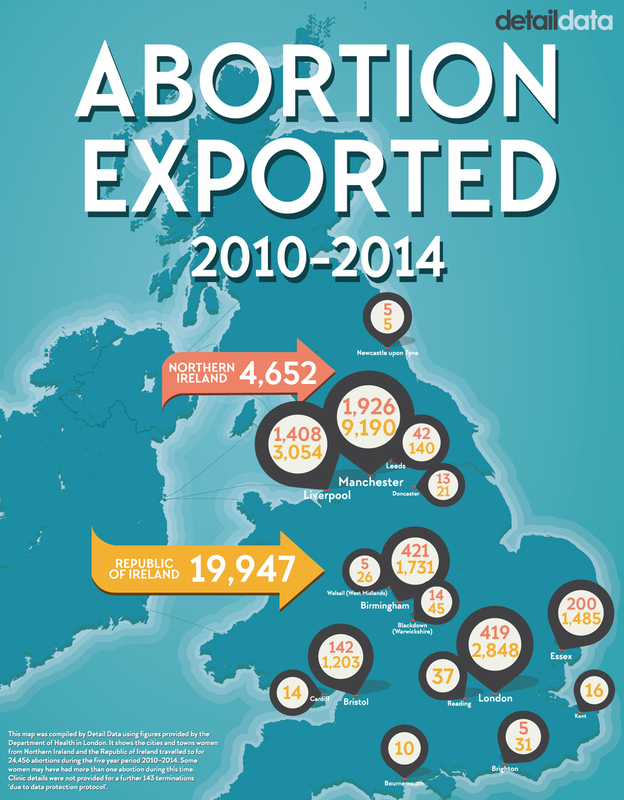 ‘Abortion Exported: the women travelling for terminations’ also featured the story of Sarah Ewart from Belfast who was one of the more than 4,480 women who travelled for an abortion in 2013. Sarah had been devastated to learn at her 20 week scan that her baby girl was likely to die shortly after birth. The Detail’s deputy editor Kathryn Torney has been awarded a Statistical Excellence in Journalism Award by the Royal Statistical Society (RSS) for the article. Kathryn won the regional journalism category – which she also won last year for a data project examining suicide deaths in Northern Ireland. In their commendation, the RSS judges said: “Abortion is an emotive subject. In this article Kathryn Torney and the team at The Detail are once again to be commended for producing a powerful piece of journalism showing how effectively used statistics can add to a debate. “The article presented some simple statistics to illustrate how, in spite of the restrictions on abortion in both the Republic of Ireland and Northern Ireland, women are still accessing legal abortions on the UK mainland. “In doing so, abortion becomes not merely an issue of conscience but also one of based on the ability to pay for access. “The authors dealt with this difficult subject matter in a non-emotive way to dispassionately reveal the scale of the issue. The other 2016 winners were Alberto Nardelli from The Guardian, Tom Bateman from BBC’s Radio 4 Today programme and John Burn-Murdoch and Pilita Clark from the Financial Times. Mona Chalabi (Guardian USA) was also highly commended. The Royal Statistical Society said that the high number of entries for the awards reflected the rise of data journalism and increased awareness of the importance of statistics and data in underpinning high-quality journalism. The awards will be presented in London next month. Click here to read Kathryn’s article.